June is LGBTQ Pride Month, and now we can show our pride and allyship both in real life and on social media. 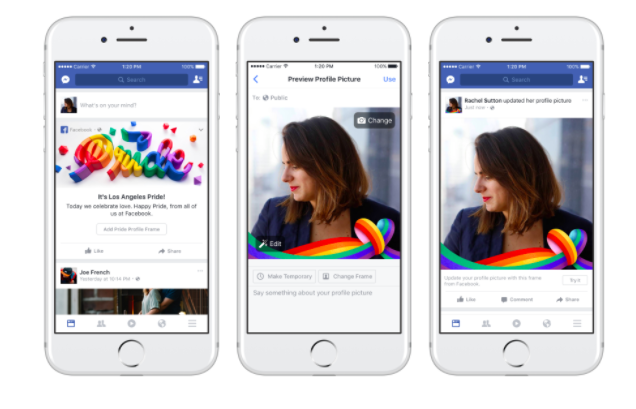 Facebook has introduced new features for LGBTQ Pride Month, and they offer fun and colorful ways to share a message that’s especially important this year. 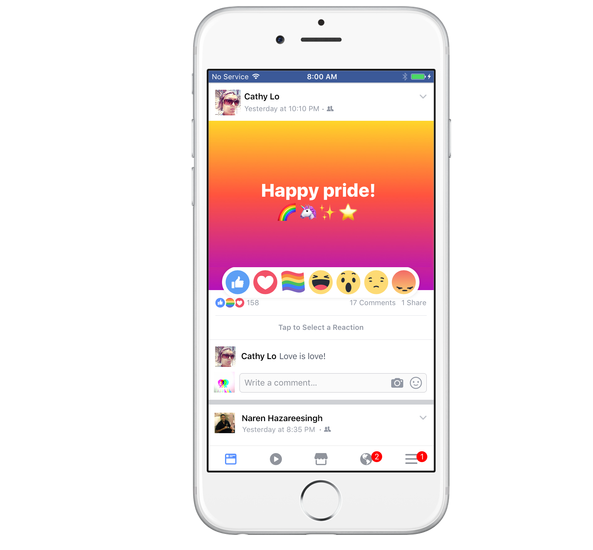 Facebook’s new Pride Month features include a rainbow flag emoji reaction and a host of colorful filters for Messenger and Facebook Camera. "As Pride celebrations begin around the world, Facebook is proud to support our diverse community, including those that have identified themselves on Facebook as gay, lesbian, bisexual, transgender, or gender-nonconforming," said Alex Schultz, VP and executive sponsor of pride@facebook. Schultz says that over 12 million Facebook users worldwide are members of at least one of the social media platform’s 76,000 LGBTQ-focused groups — and over 1.5 million have RSVP’d “yes” to 7,500 Pride events posted on Facebook. Of course, changing our profile picture isn’t enough — so Facebook is also encouraging people to use the site’s Fundraiser tool in order to raise money for nonprofits that support LGBTQ community. 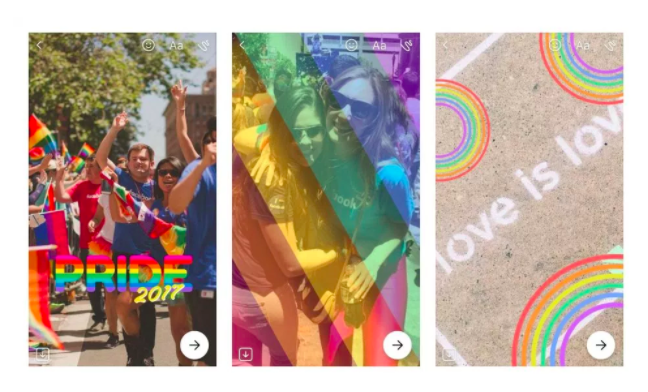 Facebook will participate in Pride activities in over 20 cities all over the world this month — and the company is hosting events and discussions for its employees. "From our support of marriage equality and bullying prevention, to the many product experiences that we've brought to life, we are proud of our attention to the LGBTQ experience on Facebook, often thanks to the many LGBTQ people and allies who work here," Schultz said. The new features are a great way to start conversations and increase visibility — just remember to show your support for the LGBTQ community in real life, too. Pride months ends on June 30th, but it’s crucial to be an ally 365 days a year.